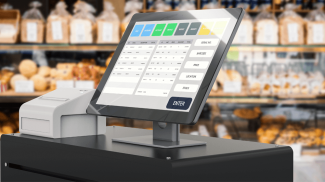 Most small business owners rely on tech tools to help become more organized, efficient, productive and successful. But often tools touted as “saviors” for small businesses are merely smaller, less useful versions of enterprise-level solutions. That’s what makes Nimble, a social sales and marketing CRM expressly designed for small businesses, so useful. 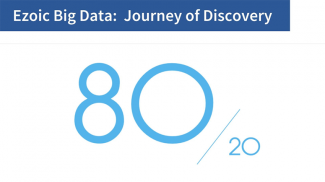 Last month, the company introduced a “Today Page,” a customizable dashboard that consolidates the data small business owners need all in one place. At a glance, you can see your deals pipeline, sales funnel, appointments, to-do lists, tasks and what Nimble founder and CEO Jon Ferrara calls “social signals.” Reading social signals is another way to say you’re engaging in social listening, which allows you to see — and react to what people are saying about you on Twitter. You can also schedule social posts to appear on your Twitter and Facebook business page. If you’re an Office 365 or G Suite user, Nimble 3.0 shows you past conversations you’ve had with clients or prospects and provides social context, as well. It also allows you “to follow up and follow through” using Nimble’s templated emails, email tracking and visual pipeline manager. Ferrara is a big believer in the power of social media. When you add social to more traditional CRM features, you turn CRM into a powerful discovery tool. Ferrara says you can learn important details about prospects and clients — and deepen your relationships with them by seeing their Twitter profiles and turning what you learn there into “engagement opportunities.” Let’s say, for instance you had a meeting scheduled with a potential client. You can find out more about them by clicking on their Twitter profiles and learning about their interests or activities. Maybe they root for the same sports team you do. Or perhaps you’re both alumni of the same college or grew up in the same state. Maybe you share a deep love of sushi. Knowing details like these can help you personalize early conversations, which makes it easier to create relationships. Nimble even enables you to discover prospects’ email addresses. And of course, you still get the features of a robust CRM system. You can manage deals in your pipeline, see who on your team is involved with specific clients/prospects, update deal status, assign tasks, add notes and monitor leads and opportunities in your sales funnel. 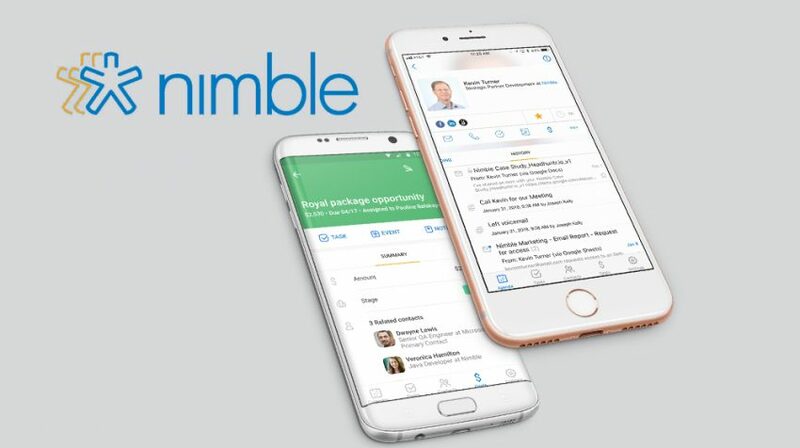 Nimble also uses “AI-driven contact data” which can suggest people and companies you may want to connect with based on various criteria, such as job titles and areas of interest. The program saves you and your team a lot of time because it “ automagically” (one of Ferrara’s favorite words) adds insights about companies, including industry, size, location, employee head count and revenue, to help you target the best prospects. And it keeps your contact information current. Ferrara says Nimble is the future of CRM. Having contacts isn’t enough anymore, he adds. But, when you add context to contacts you can make connections that lead to lasting relationships. Like most entrepreneurs Ferrara is dreaming big — his goal is to reach 50 million customers. He believes he can get there by marrying CRM with business intelligence, social listening and mobile/browser apps. I want to see how to use this for the business. Is it like an all-in-one tool?